The manufacture covers an area of about 6000 square meters. The executive processes of the company are divided into: mixing, molding and curing (for compression, transfer and injection) and finishing, assembly and testing. The compounds required for the manufacture of its products are manufactured in the company of the mixing lines, where the data production and quality are systematically recorded and archiviati.La REX implements and also provides compounds to third parties in various forms, such as plates, strips, granulated or preformed . After a careful selection of raw materials, the compound is prepared based on recipes developed, approved and verified by the company. The lines of the mixing takes place in a closed room and mixers with rollers to open. The verifications of the material are standard or agreed with the client in accordance with the requirements of the final. The process is monitored and you can track every step, from the mixing of the raw material until the final product. It is given particular attention to the optimization of energy consumption, the use of raw materials and execution times. 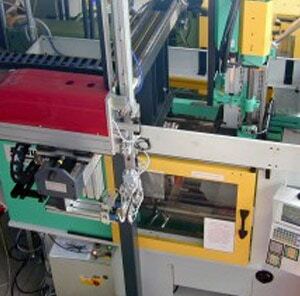 The company employs daily up to 6000 Kg of raw material. The finished products can be subjected to inspections of aging and fatigue or evidence of resistance to chemical and atmospheric agents, in addition to regular physical mechanical strength tests.